The first is a cake server with a stainless steel silver serrated curved blade. The second piece is a cake knife with a silver stainless steel serrated blade. 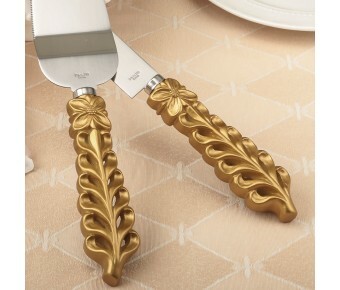 Both pieces have sturdy poly resin handles with a lattice design and a flower accent on the top of the handle. The handles are finished in a luxurious matte gold. 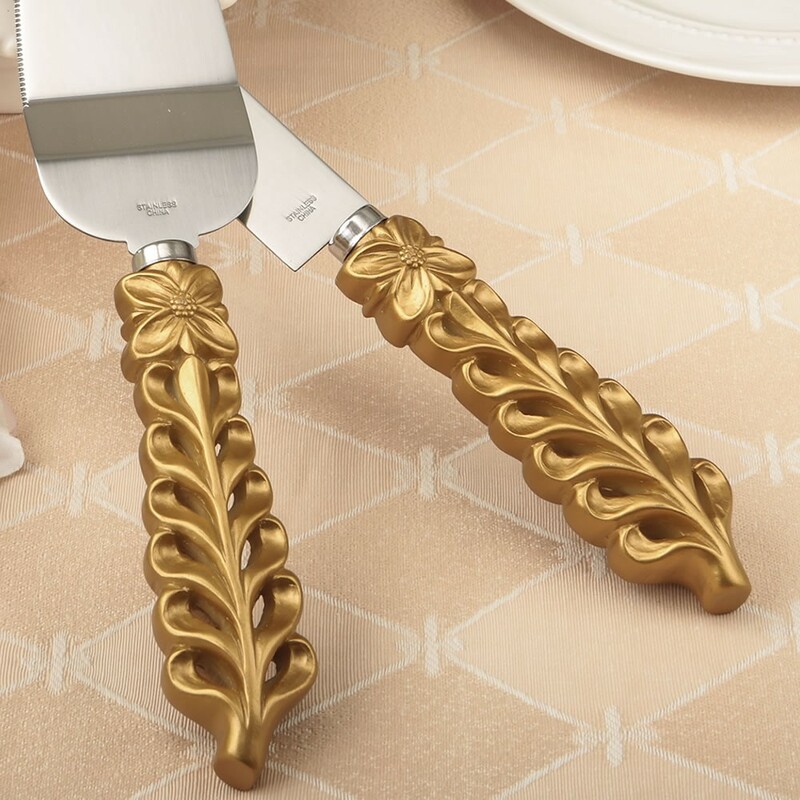 Size server 10 1/4" x 2"
Size knife 12 1/2" x 1"
This luxurious cake server set is sure to make your special day even more special!